There are many templates that are designed for site associated with the business. Among subjects templates restaurant stands JM Italian Restaurant . It was developed by already having several successful projects on this topic. In layout includes three color schemes that meet all modern requirements for web developers. JM Italian Restaurant has many useful and necessary functions to work with the design. Locate and add materials is very convenient, since the template built a special module. Images can show visitors overlay effects. The template has the following advantages - high speed, modern design, good optimization files. 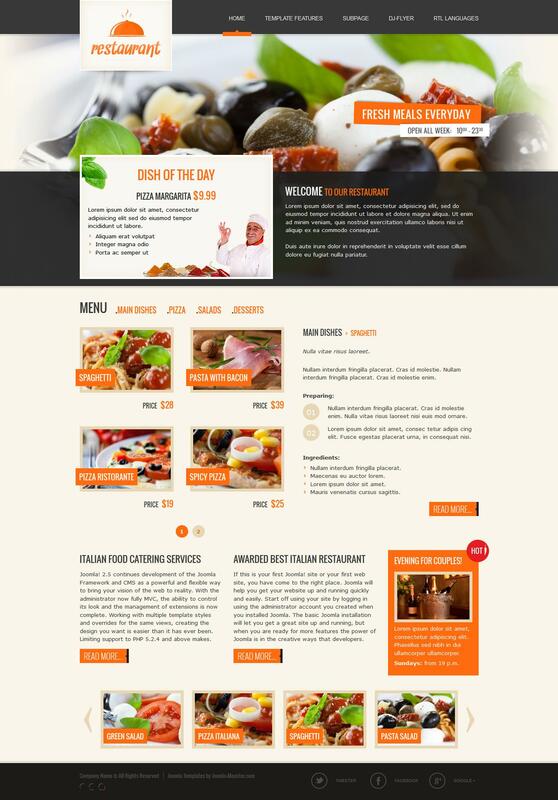 This template is perfect for sites different venues: bars, cafes or restaurants.